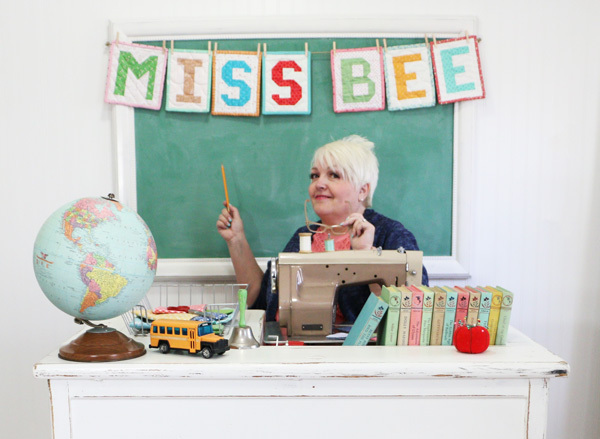 Fat Quarter Shop's Jolly Jabber: PRE-ORDER Lori Holt's new book: Spelling Bee! PRE-ORDER Lori Holt's new book: Spelling Bee! 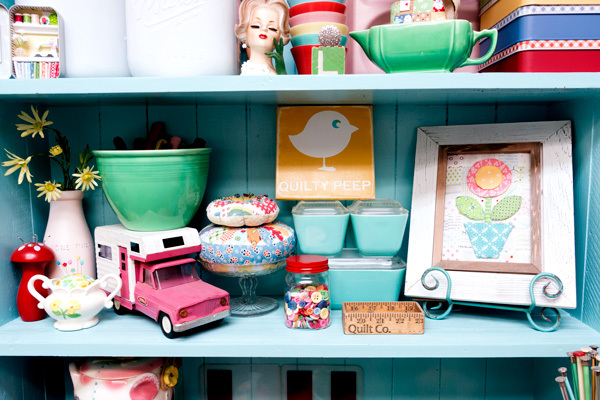 visit our creative friend Lori Holt of Bee in my Bonnet last month! If you missed the big news, Lori has a BRAND NEW book coming out called Spelling Bee! sizes, plus 18 quilt projects! As the 4th book from Lori Holt, this is one you'll need on your shelf! 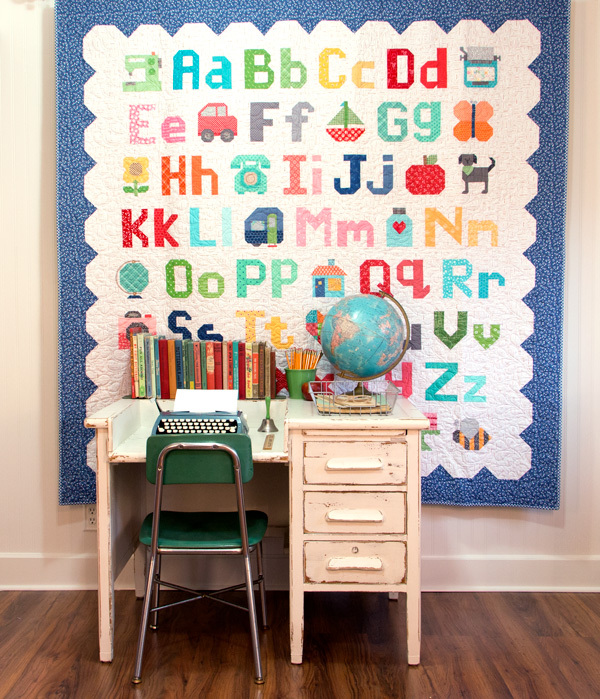 a million more quilt designs! Pre-order your copy today and receive an exclusive Lori Holt bookmark, plus be entered to win a Lori Holt Prize Pack valued $225! 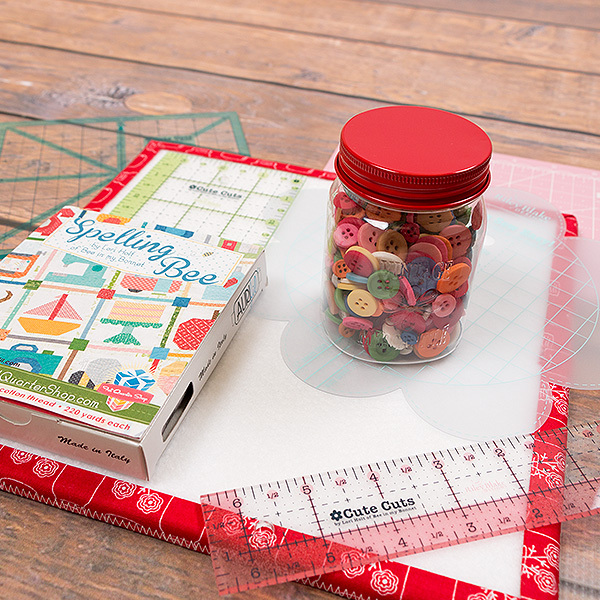 You can also get your hands on the FQS exclusive Spelling Bee Small Aurifil Thread Box! 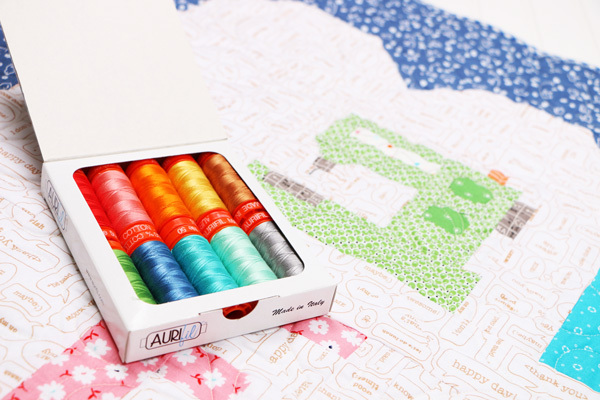 The Thread Box includes 10 spools (220 yards each) of Aurifil 50 wt. 100% cotton thread! price when you pre-order this thread box!